I love this quote from Tim Fargo, author of Alphabet Success - Keeping It Simple. My Secrets To Success. Great motivation to start those goals on my list that I haven't gotten to yet! Tim has a great inspirational blog called Alphabet Success that is worth checking out. Thanks for the inpsiration Tim! 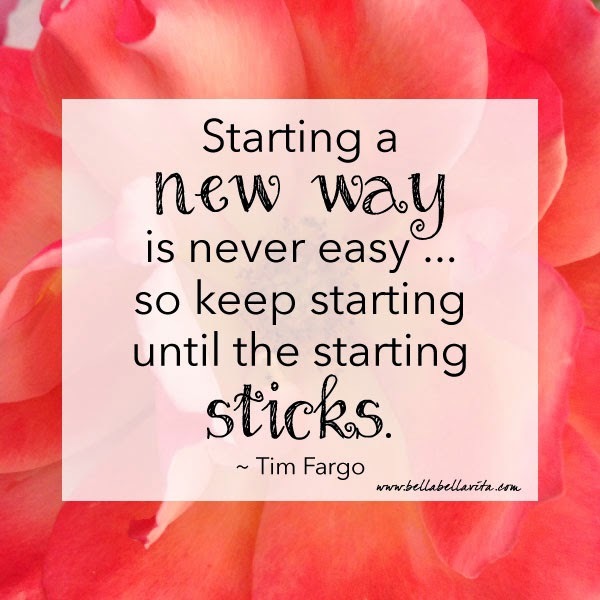 Have an inspired week and keep starting 'til the starting sticks!